Just weeks after PlayStation Vue subscribers lost access to the beIN SPORTS networks, Vue customers have been dealt another blow this week due to a new product from NBC Sports. With the pending launch of NBC’s paid subscription service Premier League Pass, PlayStation Vue customers will no longer be able to watch the non-televised Premier League games that have been available in the past by using the PS Vue login credentials to authenticate with the NBC Sports App. That means that PlayStation Vue subscribers won’t be able to watch an average of 3 of the Saturday 10am-Noon ET Premier League games every weekend, and will have to pay $50 per season to sign up with Premier League Pass so they don’t miss a game. NBC Sports says that each Premier League club will have at least three matches exclusive to direct-to-consumer live streaming product NBC Sports Gold. Premier League Pass is part of NBC Sports Gold, which is NBC Sports Digital’s direct-to-consumer live streaming product. Currently, NBC Sports Gold has similar paid subscription passes available for rugby, cycling, motocross and track-and-field. As of the end of the 2016/17 Premier League season, the only two third-party streaming providers that offered authenticated access to the NBC Sports App were PlayStation Vue and DIRECTV NOW. Streaming providers Sling TV and fuboTV were both in talks with NBC Sports to add authentication to the NBC Sports App, according to several sources. But with the launch of Premier League Pass, the authentication with the NBC Sports App has been thrown out, meaning that Vue and DIRECTV NOW subscribers will lose access to 130 Premier League games per season. They, as with Sling TV and fuboTV subscribers, will still be able to watch Premier League games televised on NBCSN, NBC and CNBC. NBC Sports’ decision to launch Premier League Pass means that streaming providers will only be allowed to stream EPL games that are shown on television. For some smaller clubs, that could mean as many as 40% to 60% of Premier League matches would only be available via Premier League Pass. 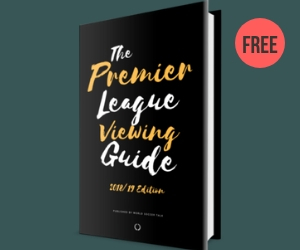 (Editor’s note: See how many times your Premier League club was shown on TV last season). LOL!!! They are only shooting themselves in the foot. Many of us will simply look for free streams online. They finally have paying customers and what do they do? They kick them out. Oh, well. I was very upset when PS Vue dropped beIN channels but can’t blame them here. Every other provider is also losing access to these games. For me, PS Vue is still the best streaming option available with their DVR capabilities. However, I downgraded after they dropped beIN. Frustrating thing with PS Vue is their inactivity and no new channels but just dropping channels. Other providers are adding channels and expanding packages. Pretty soon Fubotv will be right there. Ps vue could have done the same thing and put beIN in a new sports package and charged extra instead of dropping them completely. Now they will lose customers. Stupid decision on their part. im right there with you. i still think ps vue is the way to go, but with competition form hulu and youtube coming in, its going to be hard to stick around if they keep this crap up. Chris–I subscribe to NBC Gold for cycling. 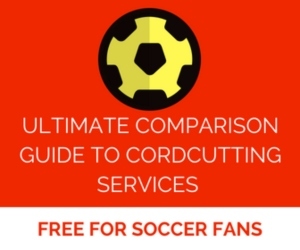 Will the Premier League service function the same way (can watch live or on demand)? $50 for 3 games a week isn’t too bad. So far I’ve just been watching anything over the air (PL and Bundesliga). Speaking of which, I wonder if they will launch a monthly NBC Sport Gold All-Access Pass, combining soccer, rugby, cycling, motocross, etc. And it continues, I loved ps vue , stuck with them even after the dropped both my wife’s and my daughter’s favorite channels, but when I woke up to watch my Brazil vs Argentina game and found no beIN sports, I immediately called and pulled the plug. Sighhhhh. Another fateful customer lost. I’m not following something: what does the new League Pass have to do with Direct TV Now losing the ability to authenticate with the main app? Why can’t you login to the original sports app and and watch the smaller subset of games that are on TV? I found that the stream via the app was clearer than that of Direct TV now. Forgive me if I’m misunderstanding your question, but you’ll still be able to log into NBC Sports App via DIRECTV NOW credentials to watch the games that are televised. For those games that are not on TV, you won’t be able to watch them on DIRECTV NOW any longer. Interpreted this as saying that we, as DTV Now subs, wouldn’t be able to authenticate at all now. My app is clearer the Direct TV Now itself, and the app also gives me the ability to watch games on demand. I’m glad that isn’t going away for the televised games. Watching football legally it seems is a constant, increasingly expensive, game of cat and mouse. I’ve stuck with Playstation Vue, despite them dropping channels and now increasing their rates. I forked out the extra $50 for the Premier League pass. But still I cannot watch the only game today that I care about because my local NBC channel is showing American Football instead (fair enough, this is America) but I can’t watch it via NBCsports.com or NBCsportsgold because it says my PS Vue credentials “do not have retransmission rights in your region”. I was able to stream the preempted games from NBCsports.com with no issues last season. It seems like we [people trying to do the right thing] are constantly being asked for more while given less in return. Hi David, NBC Sports doesn’t allow streaming providers this season to access NBC Sports App to watch the over-the-air NBC broadcasts (unless you live in one of the cities where the streaming provider has done a deal with the local NBC channel). With fuboTV, you can watch many of the over-the-air NBC Premier League games via their Universo channel. Or another suggestion is to use a HD indoor antenna for the NBC games. See http://worldsoccertalk.com/2017/01/24/watch-premier-league-nbc-network-hd-indoor-tv-antenna/ for more info.